Northwood University Computerized Automotive Retail Simulation (NUCARS) was developed at Northwood University in 1997. A management training game putting automotive students as close to reality as possible while still within an academic environment, NUCARS was held at Jilin University – Lambton College in Changchun, China in April 2017. Changchun is considered the “Auto City” of China and is a pioneer of the Chinese automobile industry. Sixty-three students from Germany, Denmark, Holland, France and China took part in various activities at the week-long international gathering. 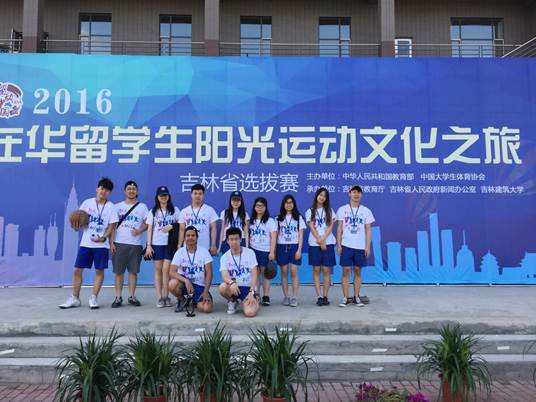 On June 2 & 3, 2016, our international students and Chinese students participated in a sports meeting held by The Education Department of Jilin Province. 14 universities and colleges joined in this meeting. Our team was made up of 7 Indonesian students, 1 Korean student, and 2 Chinese students. 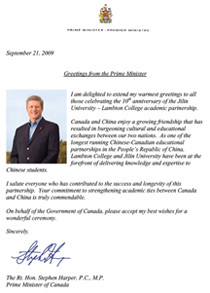 The opening ceremony was on June 2 in the afternoon. Afterwards, the 5km relay race was held. After a short break and dinner, an evening show was put on. Delegations from each university / college gave a performance and our 7 Indonesian students represented JULC; they sang three traditional Indonesian songs and received a lot of applause. On June 3, our students competed in a 3-on-3 basketball match. In this match, we played teams from Jilin University, Jilin Northeast Normal University, and Changchun Vocational Institute of Technology, who are all very strong teams. Though our team was not victorious, the played well and did our school proud.